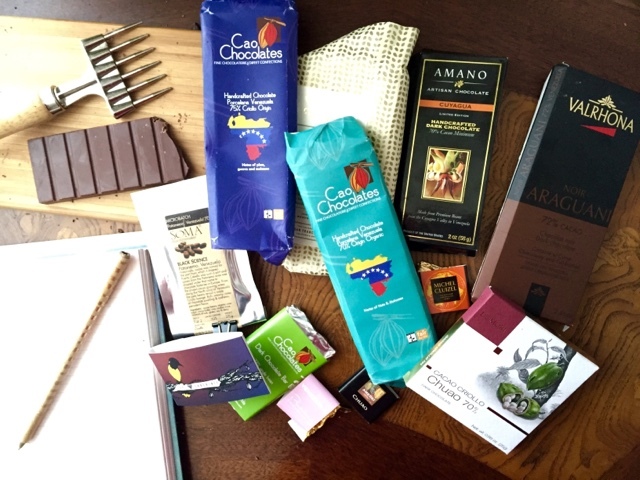 This morning I sit at my desk surrounded by 13 single origin chocolate bars as well as some coverature chocolate. All single orign from Venezuela. I've been on a journey for the past few months searching for the flavor notes that unite and give meaning to cacao from Venezuela. What notes should I expect from a single origin bar from Venezuela? A few months ago I felt I had lost touch with the flavor notes from Venezuela. With so many new chocolate makers on the scene with their varied styles, roasts, and sugar contents it seemed difficult to pin down the consistencies with that origin. This realization brought me to search out just about every bar I could find from Venezuela and develop a system for tasting those bars to seek out just the notes that seem to be associated with the bean. I've already planned the next origin to start tasting. Exciting times for a fine chocolate geek like me! This little journey (or some might call it jumping down a rabbit hole) has been fantastic at not only revealing the similarities in the Venezuelan bean but also the differences in chocolate makers. 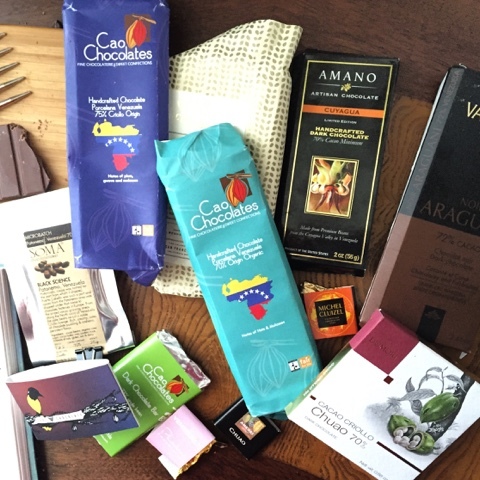 It has helped hone my palate a bit more as I concentrate on separating out or dissecting the different pieces that make up the entire chocolate tasting experience. Nutty notes that are very often punctuated with a peppery/pimento/spice note that is subtle. You'll need to be paying attention to find it but once you do you'll notice it over and over again in many bars. Most of the time the nutty notes are mild, not strong like that of the peanut or almond, more of a hint of macadamia, pine nut, pecan or walnut, sometimes with the astringency of walnut skin, sometimes without. There is a distinct lack of bitter and highly acidic notes in most of the bars I tasted. If I found bitter notes most of the time it seemed more related to the roast than to the bean itself. Later, in another post, I'll tell you all about the process I finally developed to find these notes. If you are up for it I'd even like to host an online Hangout or Blab session to taste together and talk about the process. Let me know if you are interested in joining the online live stream or even watching from the sidelines.